Back to the 60’s with my Bouffant Side Pony! Pinterest is fast becoming my favourite place to go to for hair and makeup inspiration, the other day I stumbled on to this cute “Bouffant Side Pony” and inspired I was indeed! 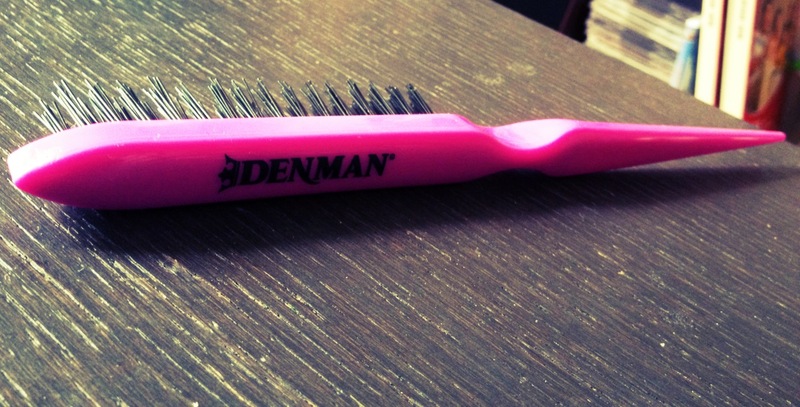 So out came the credit card and three days later my New Denman backcombing brush arrived! After a marathon of YouTube tutorials I whipped out the hairspray and my new brush and gave this 60’s trend a bash. I have to admit the back looks a bit pants with all the messy clips and loose strands, but my first backcombing experience was somewhat successful, now I just need to practice on hiding my clips a bit better lol. 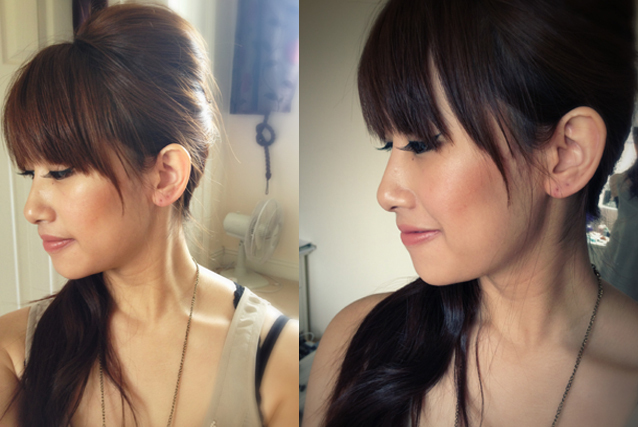 Tags: 60's trend, Backcombing, Bouffant, contouring, Cosmetics, hairstyle, Hong Kong, Lily Lolo, mineral makeup, Pinterest. Bookmark the permalink. Previous post ← Calling all bloggers: WIN a Free Blog Header Design to improve the look of your blog! Hi! :) thanks so much for being my 100 follower! Makes me excited! Lol I love the side pony! The teasing brush you use works amazing! I love those :) & your mustache necklace is ADORABLE! Hi Kayla, no problem! I know what you mean I still get stupidly excited everytime I get a new follower or comment lol! Thanks for stopping by at my blog! It’s made my day! LOVE the hair! I’m so gonna try this out! love the hair, makeup and bag! I also love that necklace, it’s too cute! I followed your blog to show my support, I really enjoy reading it :) keep it up! I adore this hairstyle! Only wish I could achieve it, my hair never does what I want it to lol! I just found your blog while on pinterest!!! I love this style. I wish I had bangs people keep talking me out of them. Is your hair purple? what color did you use?